Her career started in Milan at Editoriale Domus published by Gianni Mazzocchi. She first trained at “Quattrosoldi” (a monthly-magazine dedicated to consumers’ rights) and then at "Quattroruote" (a magazine dedicated to car-lovers’ rights) then for over twenty years she worked as reporter, editor-in-chief and curator for publications like “Dalla Parte dell’Auto”, “Gianni Mazzocchi Editore”, “L’Auto è libertà”. For the same publisher she wrote about travel and food and wine for monthly magazines "Meridiani" and "Tuttoturismo". She directed Meridiani/Viaggi del Gusto. 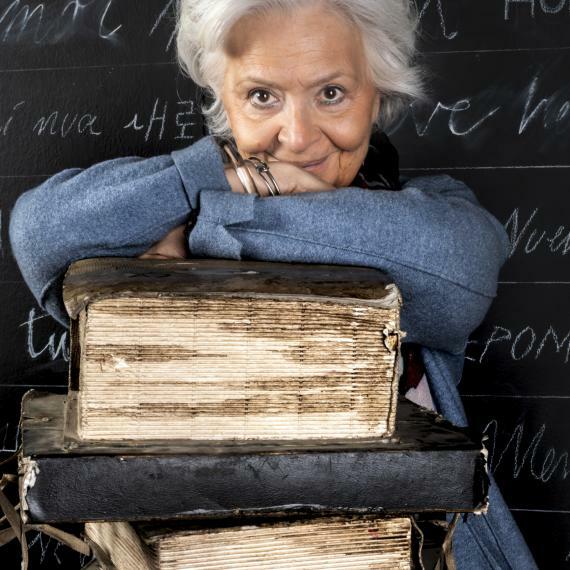 She also curated 17 editions of a popular diary called “Il Libro di Casa” (1989/2005), two editions of best seller “Il Cucchiaio d'Argento” (1997 and 2011) and other books like Cucchiaio d’Argento Regionale, Feste di Natale, Cucina Veloce. A freelance writer, she published “Il Cucchiaio dei Popoli” for Pime and collaborated with magazine Mondo Missione. She writes short stories about food for Milan-based website Mangiarebene.com. Since 2013 she’s one of the three judges of popular TV programme Bake Off Italia “Dolci in forno”.